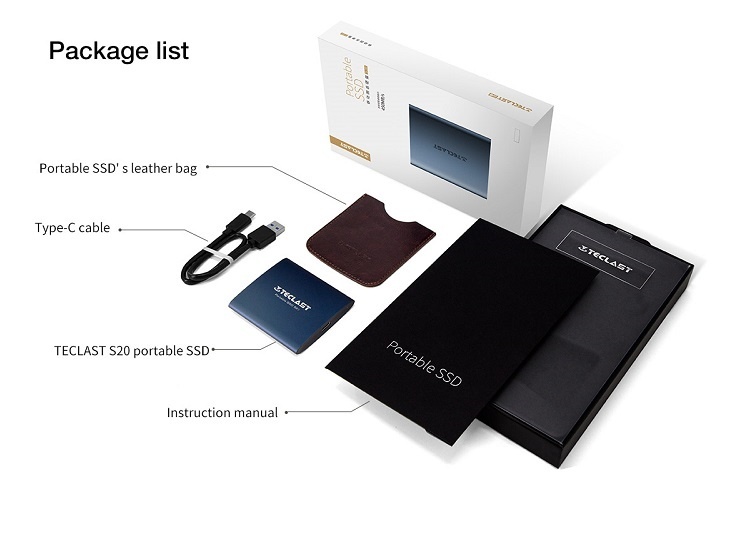 Teclast, who have previously released SATA SSDs have now entered the portable storage market with their new SSD called the Teclast S20. 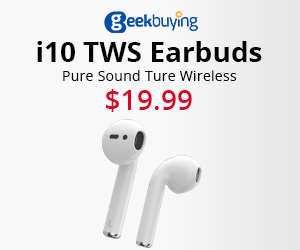 It’s available in a single capacity of 128GB and uses a USB Type-C connection for faster transfer speeds. 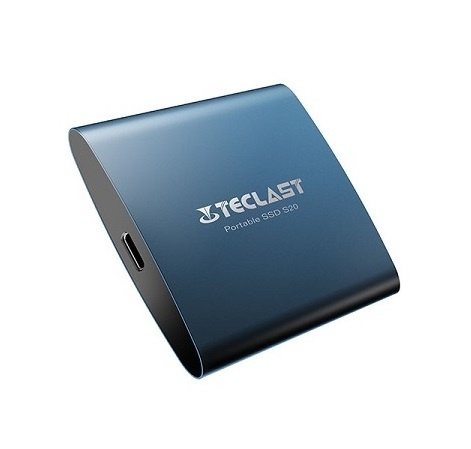 Under the hood Teclast have opted for 3D NAND flash memory that is designed to take up a smaller physical space. Unfortunately it’s not clear what brand of flash is being used. In their previous SSDs, Intel, SanDisk, SK hynix and Phison have been used so it’s likely one of them. The controller is from Silicon Motion with NANDXtend technology that is a type of ECC used to detect and correct common kinds of internal data corruption. This helps to extend the lifespan and reduce data loss on the SSD. It has a sequential read speed of 450 MB/s and a sequential write speed of 220MB/s. While the write speed isn’t much to talk about considering other manufacturers have products with double the speed; the read speed is quite high making it suitable for reading large amounts of data including 4K video. The drive itself is made from a metal casing for extra protection and heat dissipation. It measures a tiny 70 x 64.5 x 10.8mm and includes a leather pouch for safe keeping. Currently the Teclast S20 is available in China at JD.com for 349 CNY ($50 USD). No word yet on when it’s hitting the international market.